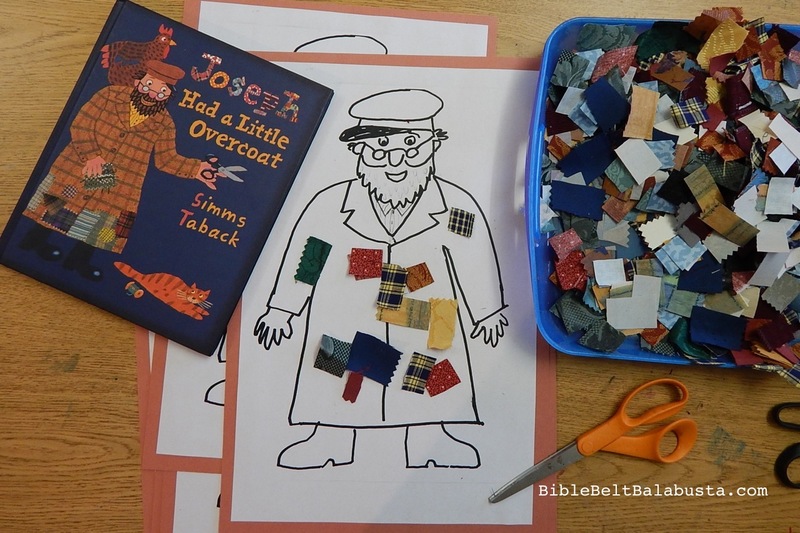 Simms Taback’s marvelous Joseph Had a Little Overcoat is easily one of PJ Library’s smartest picks. It’s a Caldecott and Sidney Taylor Book Award-winner and an all-around delight. 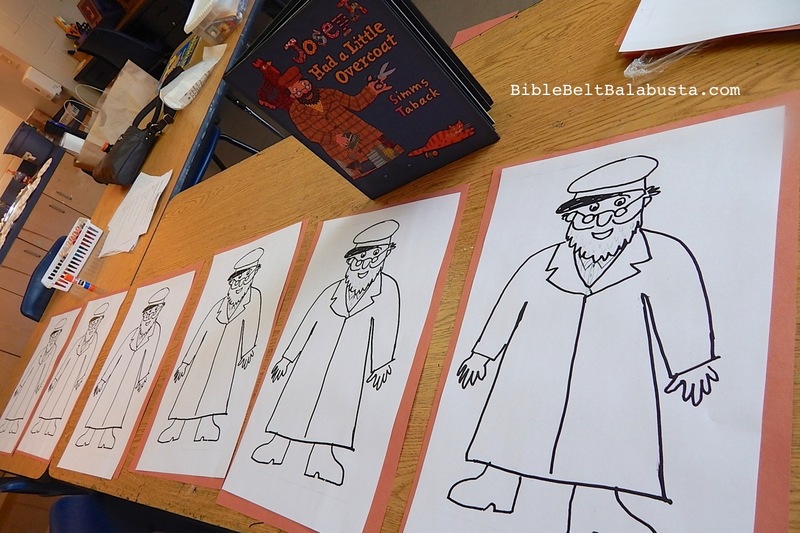 I’ll assume you know about Joseph if you’ve found this post, and that you are looking for a related activity for young children. There are plenty (see links below), and you could spend days exploring this book and the oodles of enrichment ideas. Joseph is cover to cover Yiddishkeit, for sure. But, what if you need a 25 minute lesson plan for Sunday School art class? Just a quick collage project? That’s what I needed but couldn’t find. So, I made two versions and will share. Good for a 25 minute Sunday School art class: you read the book, they make the coat, and everyone chats about Bal Tashchit and thrift and values and whatever else you wish to punch up while the kids glue. 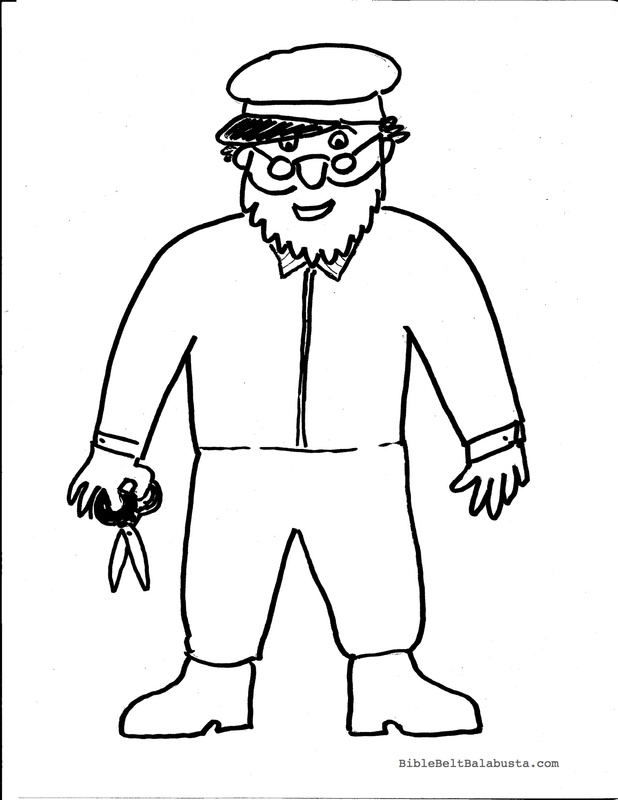 Now, I don’t know if my attempt to render a convincing outline of Mr. Taback’s Joseph is in any way a copyright infringement, so I hope it is okay to offer free printables. You can use them as is, but the bigger the better. I enlarged my 8.5 x 11 to 11 x 17 and then glued that to a piece of 12 x 18 construction paper to give it more weight. Kids can cut and glue little squares of stiff fabric to fill the overcoat outline. If you are crazy rushed for time, you’ll need to cut all the fabric beforehand. Even so, kids can still trim larger pieces, should they require precise fit. or even just the button (for those kids who love to be the first one done). FREE FABRIC: I used old sample books from fabric stores, destined for the trash. That means my material was something from nothing, salvaged from waste. Ah, how I love a theme. GLUE: Glue sticks can’t hack it (fabric is too thick) and kids can’t hack trying to squeeze white glue containers, so the easiest way might be to provide tubs of white glue and small brushes. And lots of baby wipes. Download the book’s Reading Guide from PJ Library: a one-page resource with a smidge of history, the book’s Core Value (Bal Taschit), and ideas about how to use the book at home (including an excuse for you and your child to weed the closet). Activity Guide from LiveOakMedia, which includes cross-curricular ideas like “Social Studies, Life in Poland,” and listening to Yiddish folk songs. PBSKids.org CornerStones Teaching Unit, and this page with printable teacher resources. Classroom Connections, BookTalk, etc. 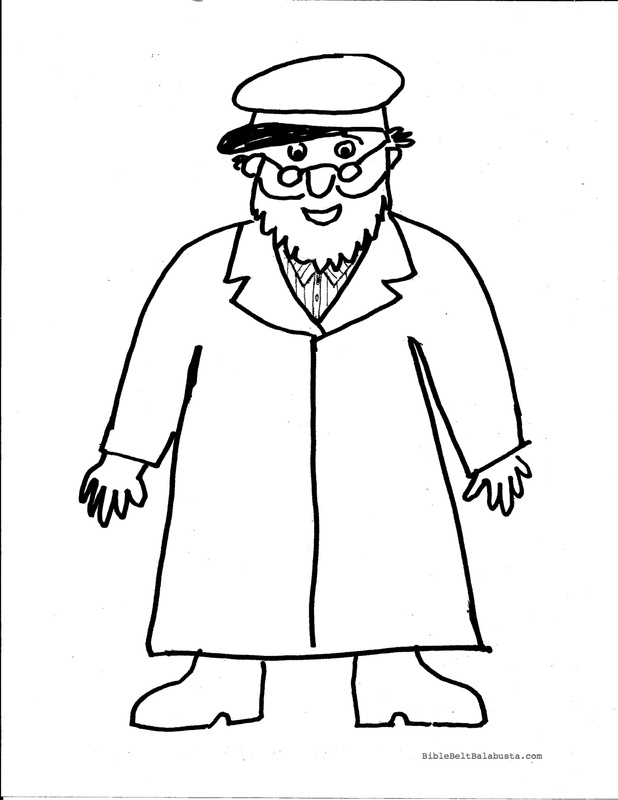 about Joseph Had a Little Overcoat, including a make-a-vest-out-of-a-paper-bag activity. Doll: where is it? I see pictures online, and one reference to the story kit with doll on file at the Indianhead Federated Library System, but who else offers it? I found a gorgeous, handmade version by Craftewoman on Craftster, here, but I was looking for a kit that people could check out from libraries nationwide…. Flannel Board set for the book, by Lakeshore Learning. Mr. Ken the Librarian’s Digital Flannel Board set. Bal Tashchit “Do Not Destroy” mitzvah. Here’s a good, lengthy intro from MyJewishLearning.com. Here’s a good page for families that focuses on the Reuse/Recycle aspect of the mitzvah. It’s from Shira Kline, a.k.a. ShirLaLa. This entry was posted in Activity, Crafts and tagged collage, folklore, recycle, scrap art. Bookmark the permalink.